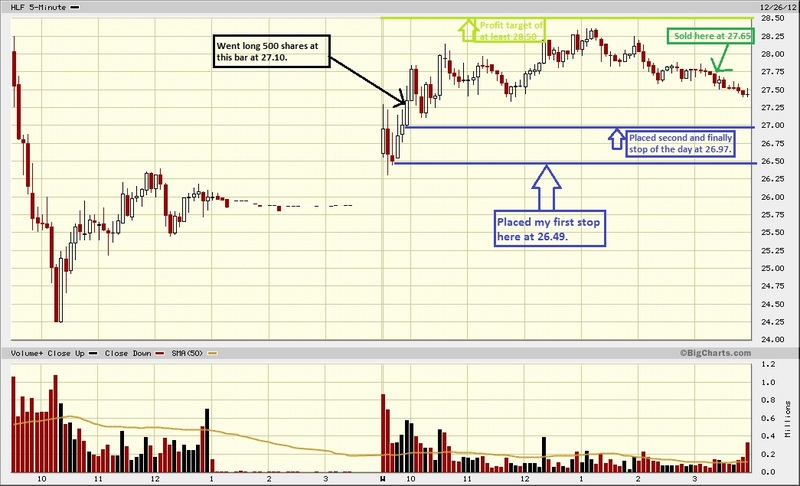 TRADER 9: Trades of the day, HLF and SRGE!!! 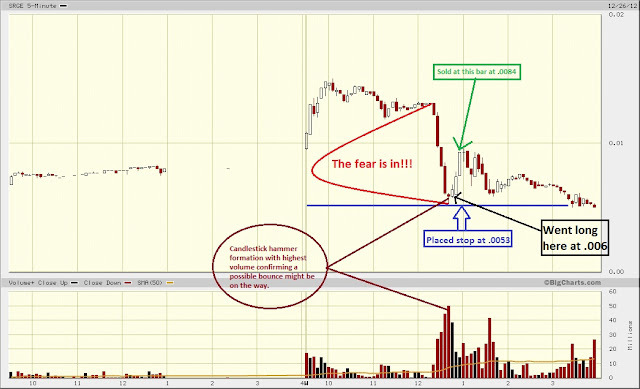 So I went long 500 shares of HLF at 27.10 hoping to catch a huge Dead Cat Bounce today. Placed my first stop at 26.49, and then moved it up finally (2nd stop) to 26.97. I wanted to ride this stock out until at least 15 minutes before the close, or it hit my profit target of at least 28.50. After getting tired of holding this bag, I just decided to put in a market order and sold it at 27.65 for a .55 point gain. The picture below is a perfect textbook example of how I like to play my bounce plays. First, the huge sell-off; Second, forms a candlestick reversal hammer bar off support levels; Third, buy on the next 5-munite opening candlestick bar after the hammer forms; Finally, just enjoy the short-term ride up and grab as much profits as you can. Went long 250,000 shares of SRGE at .006 and sold it at .0084. I gain $600 dollars in less than 15 minutes, that’s a prostitute dream! 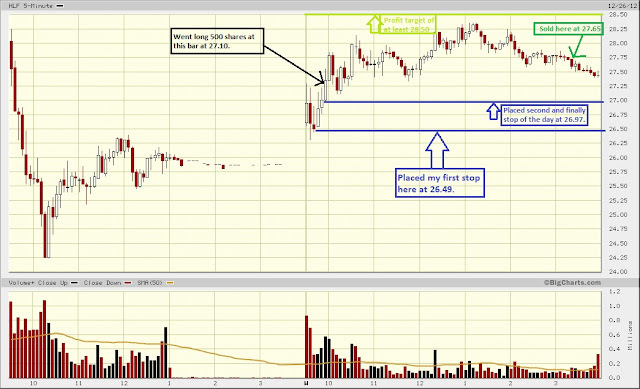 I just wish this setup was an everyday (trading days) occurrence.